Size of this preview: 600 × 600 pixels. Other resolutions: 240 × 240 pixels | 480 × 480 pixels | 768 × 768 pixels | 1,024 × 1,024 pixels | 1,500 × 1,500 pixels. 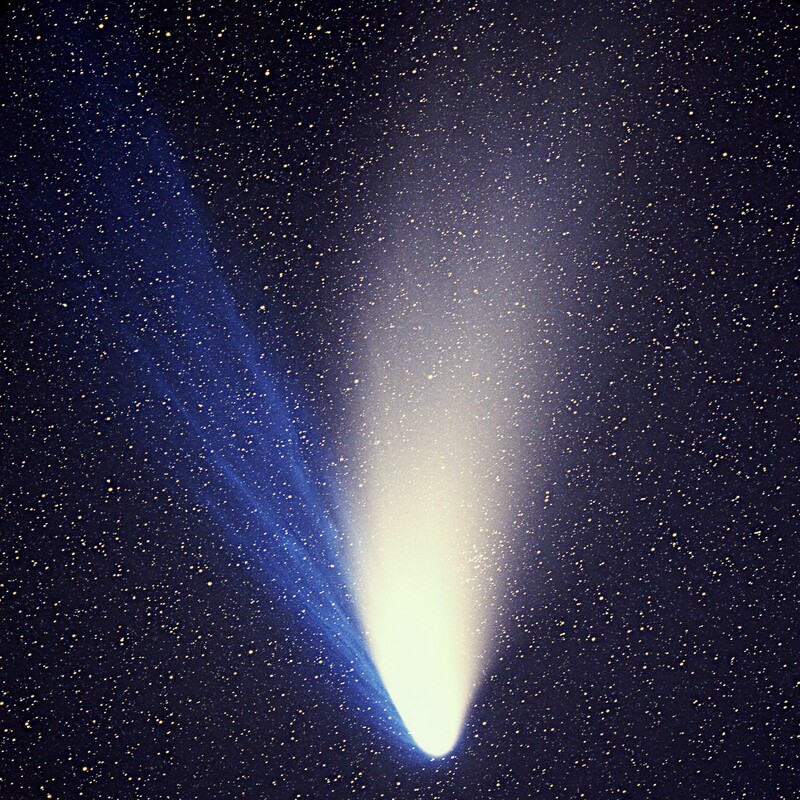 English: Image of comet C/1995 O1 (Hale-Bopp), taken on 1997 April 04, with a 225mm f/2.0 Schmidt Camera (focal length 450mm) on Kodak Panther 400 color slide film with an exposure time of 10 minutes. The field shown is about 6.5°x6.5°. At full resolution, the stars in the image appear slightly elongated, as the camera tracked the comet during the exposure.